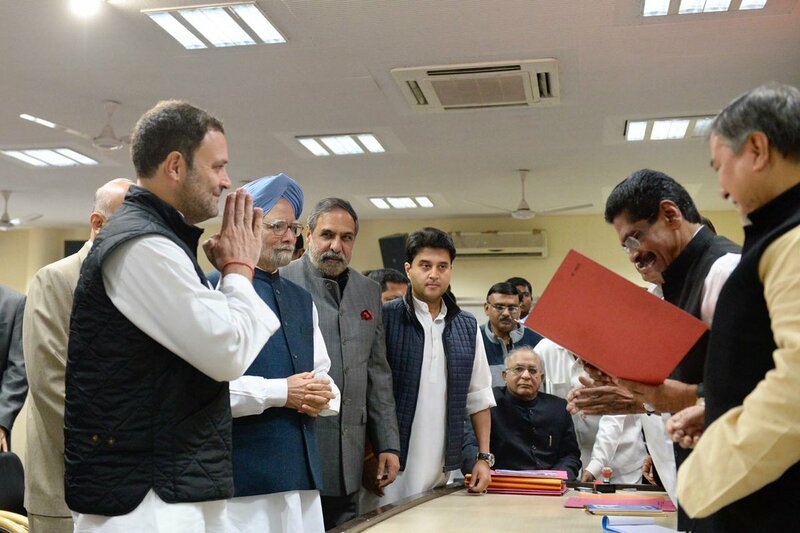 New Delhi, Dec 5: As Rahul Gandhi on Monday filed his nomination for election to the Congress President's post, Maharashtra Congress leader Shehzad Poonawalla said it is a black day in the history of the party and termed the process a "coronation". Calling Gandhi an "underperformer", Poonawalla said in a statement: "Rahul Gandhi is not the President of Congress party but has been anointed like a Mughal king in a line of dynastic hereditary succession." He had earlier raised questions over party's election process and said it was "rigged". "As a member of the Congress party, I observe this day as a black day in the history of my party," he said in the statement. "The party of Mahatma Gandhi which once saw Maulana Azad as President at the age of 35, is now the proprietorship of a 'Shehzada' where no Shehzad (himself) can even contest a rigged election," Poonawalla said. He explained it was a black day because a person who "lacks merit" and had been a "perpetual underperformer" (losing Lok Sabha and Uttar Pradesh elections) had been promoted for "every failure of his at the behest of a dynastic system led by his mother (Sonia Gandhi) and perpetuated by the first family of Indian politics". "Today, as some dynastic cheerleaders claimed, even before nominations formally ended at 3.00 p.m, that Rahul Gandhi is the President. "This is because the entire world knows this was a fixed match and a coronation. Only the crown was missing for the Shehzada," the statement read.